As you see I have a lovely haul post for you today. I did a little online shopping on Superdrug yet again, I didn't buy as many products this time though but I'm pretty ecstatic with what I bought. I kind of went a little blush crazy online, picking up 3 blushes from the Sleek MakeUp range spending just £14.49 as it was 3 for 2 on all cosmetics. Unfortunately they don't stock Sleek MakeUP in my nearest Superdrug store so I chose to go online to buy them. Superdrug's online store has such a speedy delivery! I ordered them on Monday, they dispatched Tuesday and I only just got them today! eek, I highly recommend to shop from the site. Anyway moving on, let's take a look at what lovely goodies I got.. 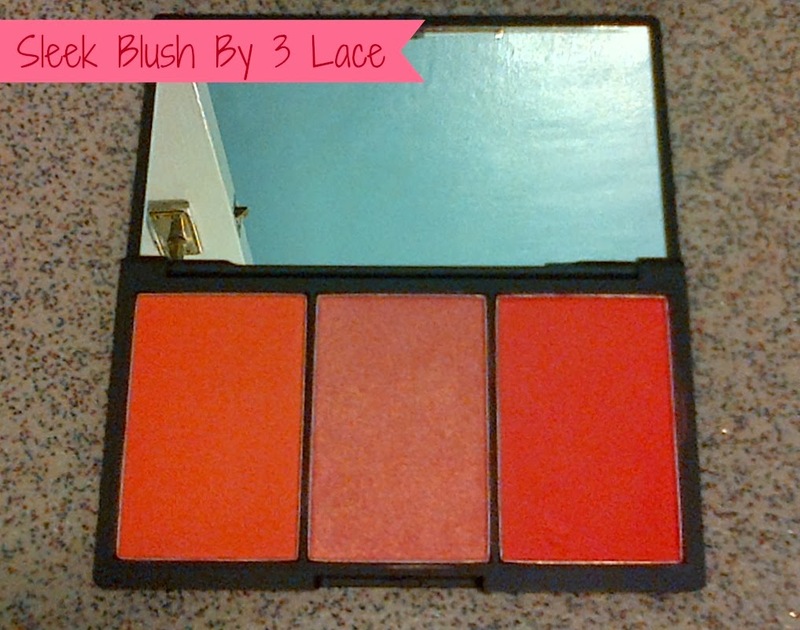 The Sleek Blush 3 by Lace has been on my wishlist for quite a while now since it started getting popular with bloggers in the Blogosphere. It's got 3 lovely complimentary shades called Crochet, Guipure, and Chantilly. These shades would suit most skin tones and they come in a lovely medium sized mirrored compact. I swatched each blush on the back of my hand and they have incredible pigmentation, I don't think you'd have to use much. Two of the shades are matte shades and in the middle is a lovely shimmer shade which would look great for highlighting some parts of the face. This has also been on my wishlist for quite a while after so many bloggers started raving about this product. 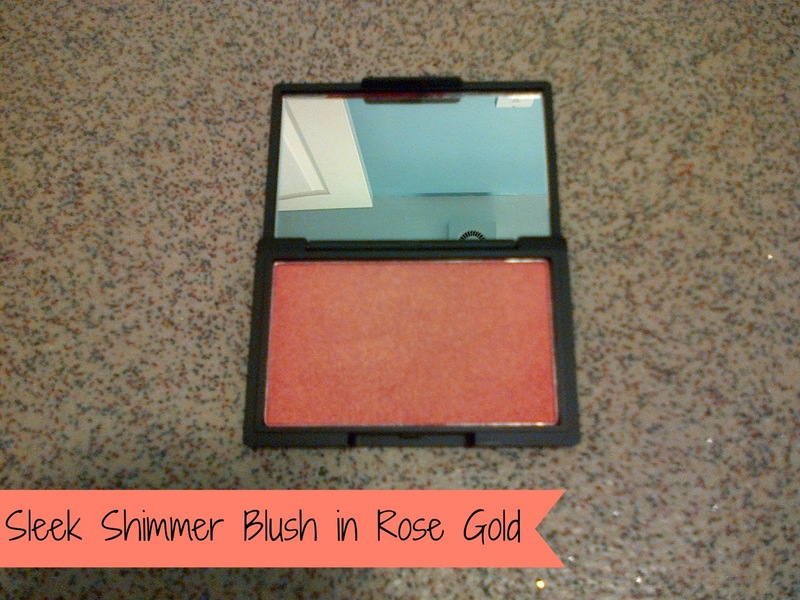 It's a beautiful rose shimmer shade (as it clearly stated) the shade is Rose Gold, durr! This blush is also incredibly similar to the middle shade 'Guipure' in my lace blush palette too. (Sorry about the bad lighting and the picture in the mirror, haha!) Only just came back from my work experience placement a few hours ago and took a few snaps. 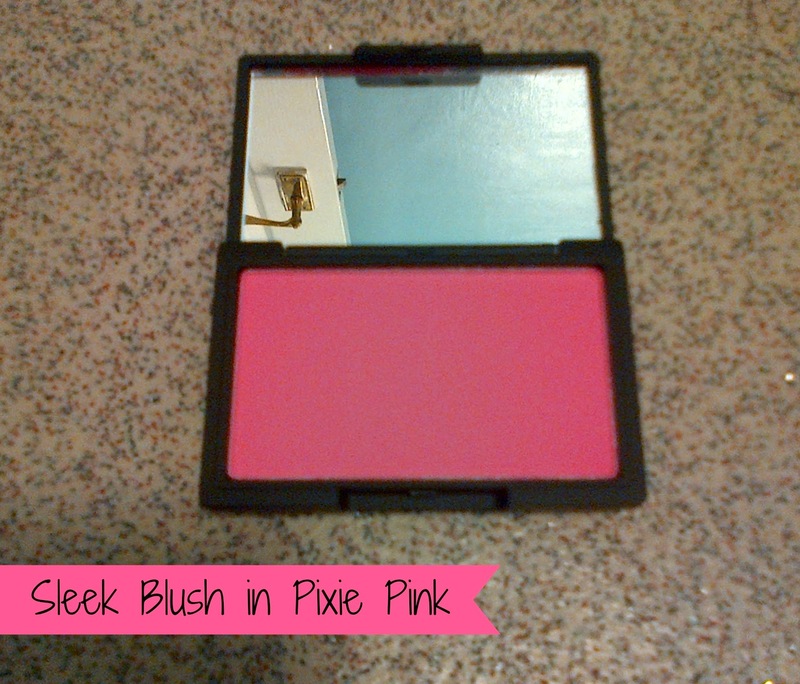 Last but not least is the Sleek Blush in Pixie Pink. This was a bit of an impulse buy as I love pink blushes and I wanted to take advantage of the 3 for 2 deal on all cosmetics. The Sleek blushes have become so popular with us beauty bloggers and this shade in particular really caught my eye as it's a light pink/baby pink shade. In the future I will do an individual review on each of these products after I have made full use of them. 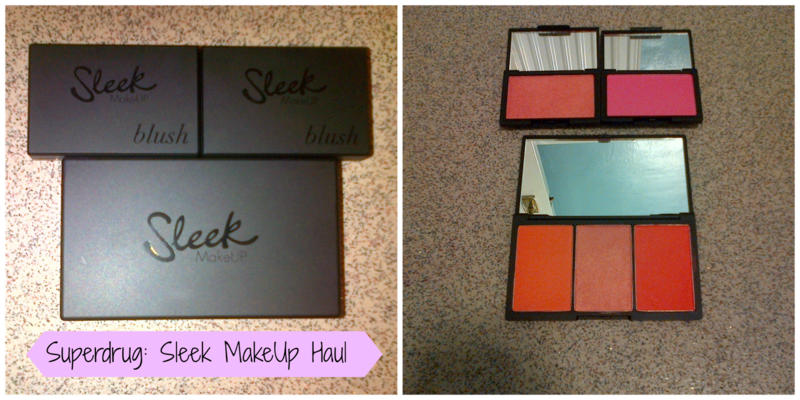 Have you bought anything from Sleek MakeUP recently? I wasn't tagged by anyone to do this but this tag has been floating around on so many blogs lately and I thought I'd have a go of this myself. I thought this tag would be brilliant to help you lovely lot, my viewers, to get to know me a bit better as I'm fairly knew to this blogging malarkey. 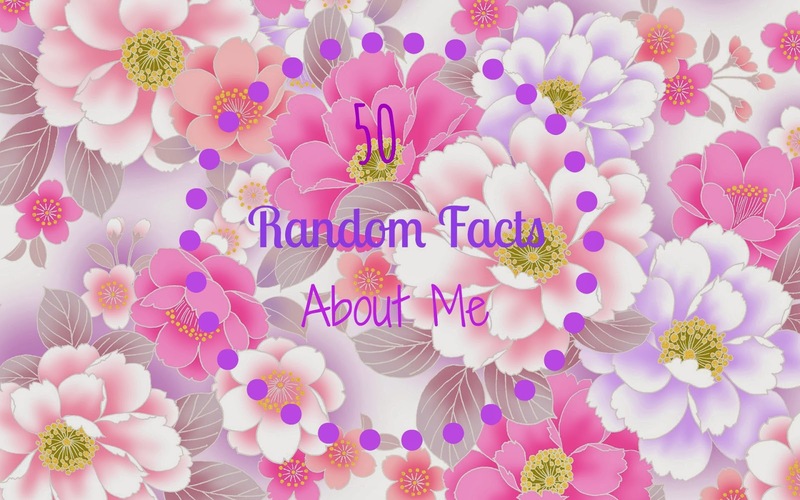 I found it incredibly difficult to think about 10 facts about me let alone 50! I did previously write an about me post, which you can find here if you want take a little look. 1. I've dyed my hair more than 5 times, possibly more than 10! 4. I had jaw surgery 2 years ago due to having goofy teeth as a child and it was the only option to align my teeth. 13. I want a chihuahua or a Pomeranian puppy, they're so cute! 14. My favourite dessert is Cheesecake, I went through a period when I bought one cheesecake every month and ate it full. 15. I'm naturally skinny and I can't seem to put on weight :( some people assume I don't eat. 16. I'm a huge lover of TOWIE, Made in Chelsea and Geordie Shore! 19. I once had a bad reaction to a face mask, I went without any makeup on for a week, urgh! 22. My birthday is on the 28th February making me 19 years old! 26. I've never tried Ben and Jerry's ice cream! shocking..
38. I've watched Doctor Who ever since it started up again in 2005, geek alert! 46. I have a huge celebrity crush on Danny Mac that plays 'Dodger' on Hollyoaks, phew! 50. I really want a tattoo!! I am so excited to write this post! eek. If you have seen my October Beauty Wishlist you would know that this lovely little beauty was upon those of many other beauty products that I wanted to buy this month. 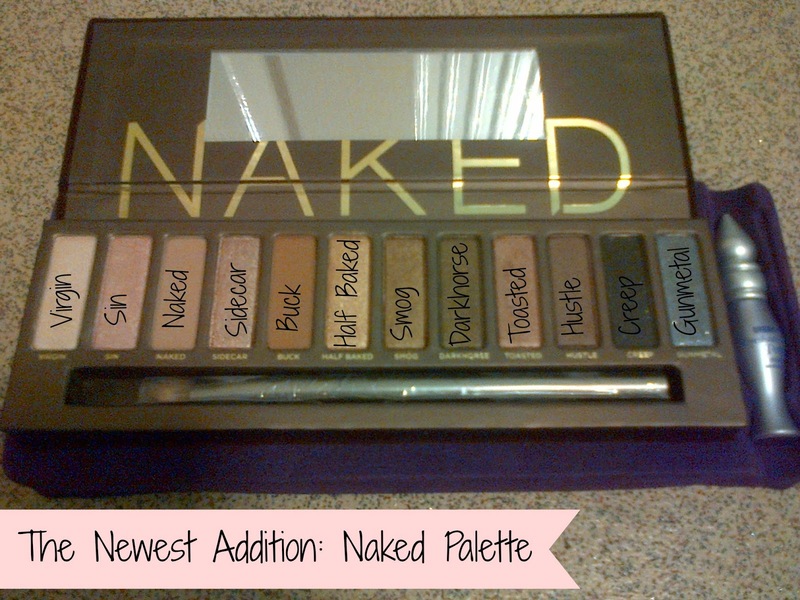 I have finally added the original Urban Decay Naked Palette to my makeup collection, yay! I have been deliberating buying this for ages but I just couldn't seem to part with the money until now. I bought it for £39 from House of Fraser and that includes the p&p too. I know that it seems like a hell of a lot of money to pay for an eyeshadow palette but it's definitely worth the money. It's certainly not an ordinary palette, it has it's very own unique shades and names, 2 of which are matte shades and the rest are shimmers. It also comes with a mini eyeshadow primer potion and a Karma brush to apply the eyeshadow. The packaging has a suede effect and feels very luxurious, which is great, who wants a tacky, horrible looking palette when it has a big price tag? Nobody. Since I bought the Naked Palette I have been experimenting with all the shades but only worn them once in the daytime for my very first day at my work experience. I found that at the end of the day the eyeshadow didn't fade at all which I am so impressed with. Applying the primer potion before applying my eyeshadow certainly helped keep it all in place. As you can see in the swatches above there are four shades with less pigmentation than the others but that's only because they are slightly lighter colours. The shade 'Virgin' is a lovely white shade which is great for highlighting the brow bone and the inner corners of the eyes. I found that using this shade in the inner corners really make the eyes 'pop' and make the eyes look slightly wider and brighter. 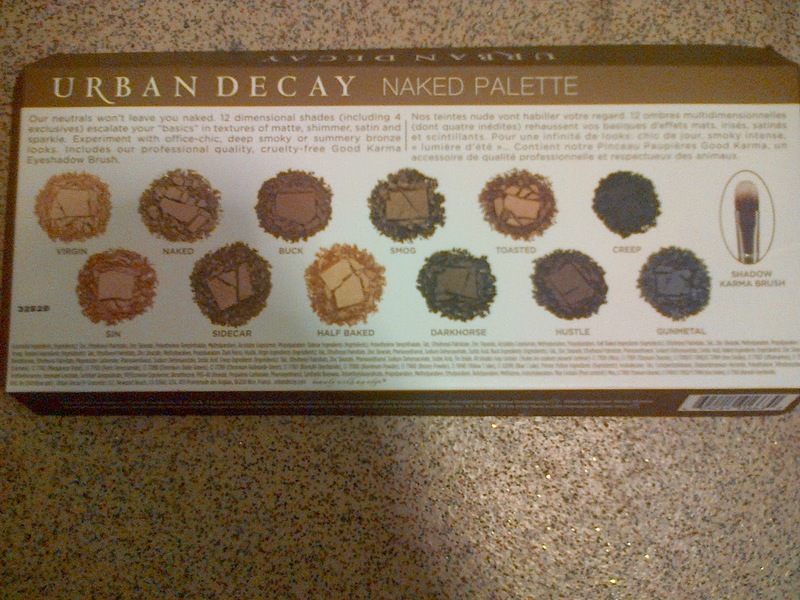 My favourite shades of this palette has to be half baked, smog and toasted. These shades really make my eyes stand out and they're great for creating smokey effects(sorry for the bad lighting!). At the moment it's my number one eyeshadow palette and I really can't fault it, I have nothing negative to say about it. 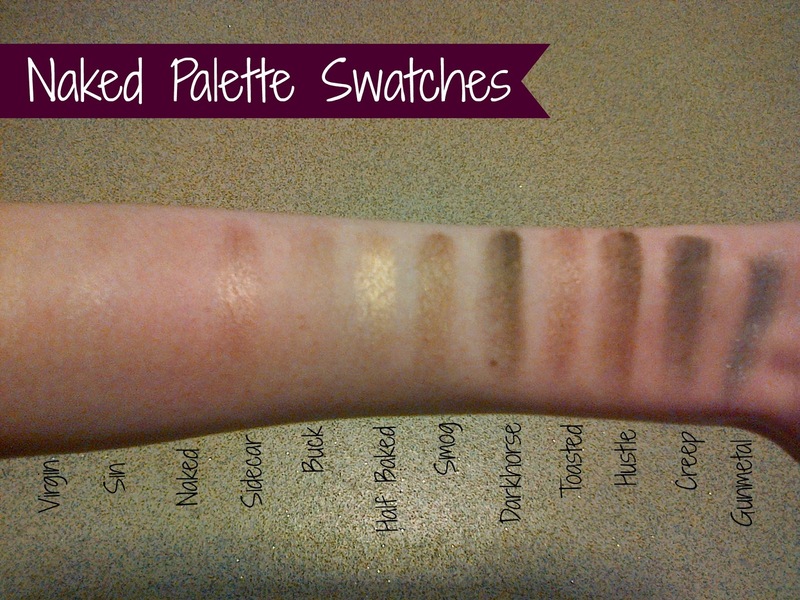 Do you have a Naked Palette? What are your thoughts? Today has been such a horrible day weather wise! Urgh but today has been incredibly interesting as I have had a few family members over for a lovely roast dinner, yum! What's better than having your family over and tucking into a nice roast dinner when it's windy and pouring down with rain,eh? Anyway that's enough weather talk for me, let's get to the point of the post shall we? 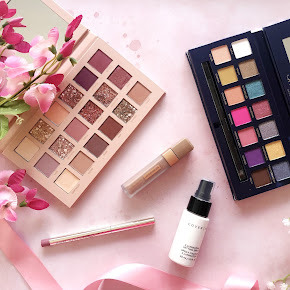 Lately I have been lusting over so many products from MAC that I just have to have in my life and I am considering buying them all in my next MAC haul. As you know I don't have a MAC store nearby, gutting for me really, isn't it? so I always have to order their products online instead. Thank god for the MAC online store, I don't know where I'd be without their products. As much as I love my face being matte I really don't like the heavy feeling it has on my face, sometimes it makes me look a little bit ill. I really want my skin to look a bit dewy and healthy so I thought this would be absolutely perfect to try and achieve that look. It costs £14.50 for a 100ml of the MAC Spray Fix Plus and they also have a 30ml travel size version for just £8. 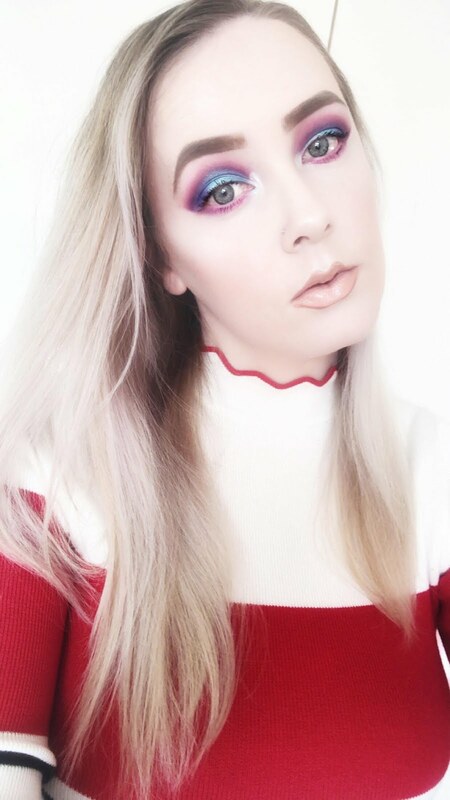 Lately I've been getting more into eyeshadow. Normally I'd just do a basic step by step routine of 'foundation,powder,eyebrows,liquid liner and lipstick' but now I've started to incorporate eyeshadow into my daily makeup routine. This brush has fine, dense fibres in an oval shape which helps to blend in both cream and powder eye shadows. I first found out about this brush when I was watching Pixiwoo's makeup tutorials on you tube. I thought this brush would help me to achieve a softer eye makeup look for the daytime and night time. This brush costs £18 which you'd think is quite expensive for an eyeshadow brush but I love it. As I've been getting more into eyeshadow lately I want to start my own MAC Pro Palette with 15 shades and this is my number one favourite that I want to add to it. It is hugely raved about in the blog community as you most probably know. It's the most gorgeous berry/plum shade which would really compliment my green eyes, especially this autumn. The refill pans are a little less money than the pot eyeshadows retailing at £10. 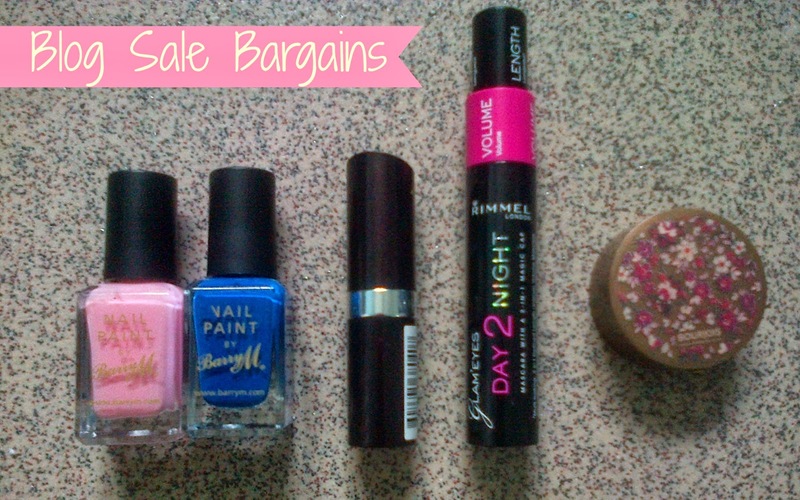 I know to some drugstore lovers this seems incredibly pricey but what can I say? It's such a beautiful colour and the most perfect shade for this season. It's a definite must-have on my MAC lust list, I can't wait to start my first palette, eek! A few weeks ago I was doing some online shopping looking at the MAC lipsticks and I was thinking about buying this shade but I opted for the shade 'Pink Nouveau' instead. As a pink lipstick lover I really held back buying this one too and now I really want to add it to my ever growing lipstick collection, it's the most beautiful bright/baby pink shade. MAC lipsticks retail at £15, a teeny bit expensive for a lipstick but it's definitely worth the money. 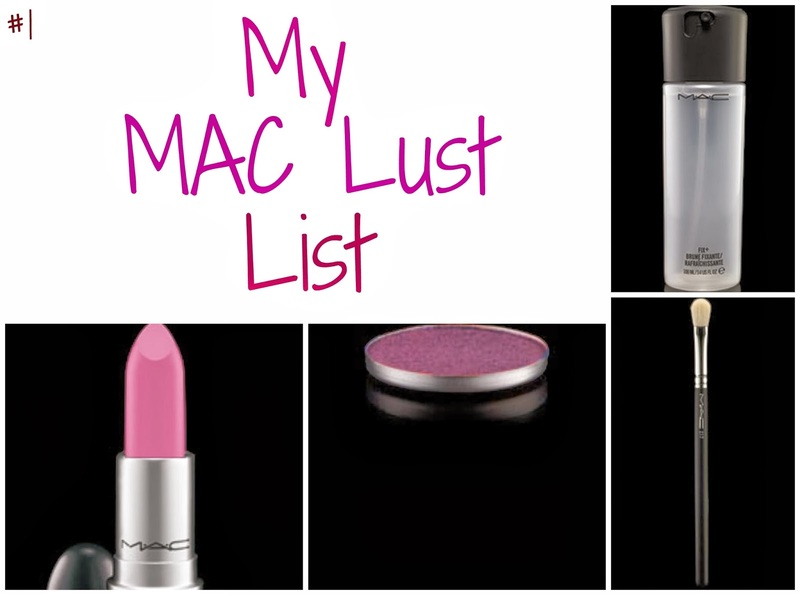 What MAC products are you lusting over at the moment? 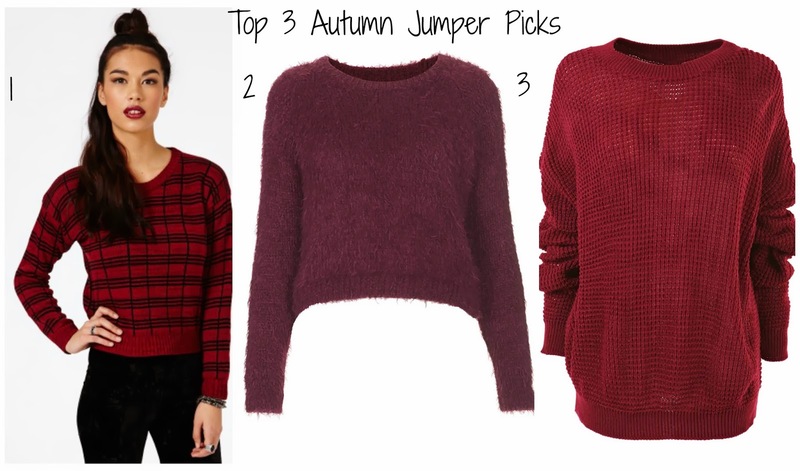 This autumn it's extremely cold and it's time to whack out the comfy boots and knitwear to warm ourselves up so I thought now would be the perfect time to show you a few lovely jumpers that I've came across that will keep you well and truly warmed up, fashionable and on trend this season. 1. This jumper is Ajanae Checked Jumper from Missguided and only costs £14.99. I love this jumper as it has a lovely checked style and it's most definitely on trend this season. 2. I have to admit this is my absolute favourite of the 3 jumpers. It is a Knitted Fluffy Crop Jumper from Topshop and it's slightly more expensive than the first, costing £34.00. It's also a very gorgeous berry shade which is hugely popular this season amongst other bloggers and the public in general. 3. Last but not least is a lovely Waffle Knit Crew Neck Jumper from Fashion Union and costs £15. Dark colours are also quite popular this season, this is a lovely Red Wine colour and I absolutely adore it. It also looks quite chunky and comfortable and would most definitely go with a lovely skinny pair of jeans, comfortable uggs or ankle boots. I have yet another lovely review for you this week and I'll be sharing my own thoughts on my favourite exfoliator, the St Ives Apricot Blemish Fighting Scrub. I bought this over a week ago now when I decided to take full advantage of the free delivery from Superdrug's website. 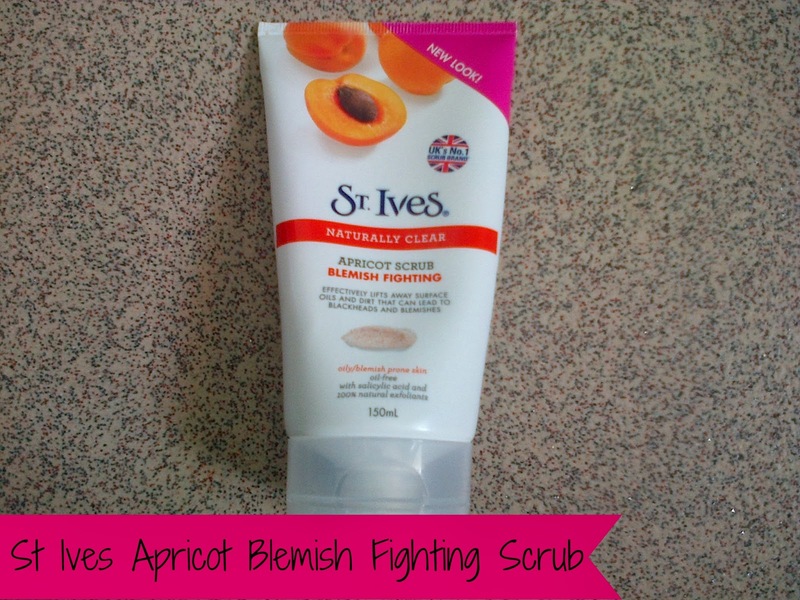 A few years ago I bought the St Ives Apricot Invigorating Scrub and I absolutely loved it so when I came across the Blemish Fighting scrub I knew that I had to buy it. This scrub is made for oily/blemish prone skin which is perfect for me as I have oily skin and I am extremely prone to breakouts, boo! If only I had perfect skin. The very first time I used this I noticed an immediate difference, my skin was incredibly soft and I could barely notice my pores. It also made me feel quite refreshed and clean which was wonderful. I noticed that after using this my makeup glides on effortlessly leaving my face looking flawless which I absolutely love. I have to admit my skin is the best it has ever been since using this exfoliator. In the past I have tried many scrubs that were way too abrasive and this scrub is just the opposite, it's extremely gentle on the skin and includes 100% natural exfoliants. It also includes salicylic acid which is very well known to help fight breakouts. Some scrubs have quite a chemical type smell but luckily this doesn't, it smells like juicy apricots which is lovely. On the back of the packaging it says that you can use it 3 to 4 times a week but I prefer not to, I use it between 1 to 2 days a week as I don't like to exfoliate my face too often. I have to admit that I haven't noticed a huge difference to my skin completely, it hasn't cleared my skin up but it does a good job of getting rid of the dead skin cells. You can buy this scrub in many supermarkets and drugstores and it retails for about £3.99 which is a great price. Overall, I absolutely love this scrub, it may not have cleared my blemishes but I'm so pleased with the difference it's made to my skin. I am not too bothered about the fact that it hasn't cleared my skin as I have other products for that but I am so impressed with the results and I will be buying this again once I've ran out of product. Have you tried the St Ives Blemish Fighting Scrub? As of last week I was desperately needing some new winter clothes so off I trotted into town with one of my good friends. I didn't want to spend a huge amount of money on clothes so I only came away with a few things, I had to resist the temptation to buy out the whole shop. I have to admit cosmetics and clothes are my biggest weakness, I really struggled sticking to a budget. Anyway, here are a few pieces of clothing that I picked up..
My reasons for buying these high-waisted skinny jeans were because my previous ones had been ripped through due to my terrible drunken actions one friday night, oops. 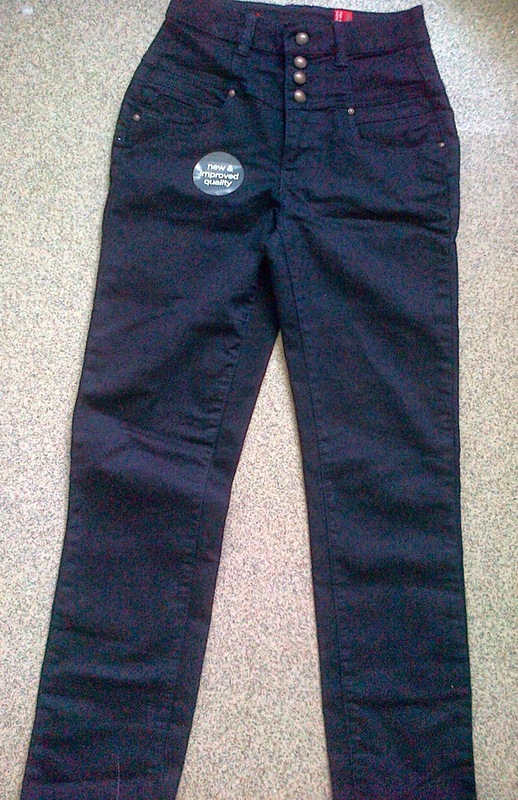 I bought these for £22.99 from New Look and I have to admit they're my favourite pair of jeans! They fit me perfectly, they're super soft and so comfortable. 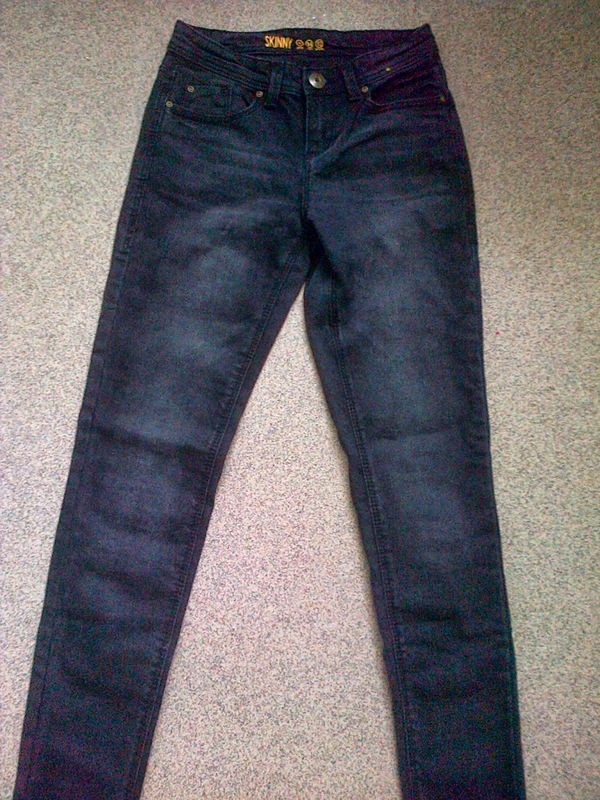 I have to admit the picture above doesn't exactly do the jeans themselves any justice but oh my, I love them. I bought these high waisted skinny jeans from Primark for just £10.00 which is great, they're such good quality for Primark. 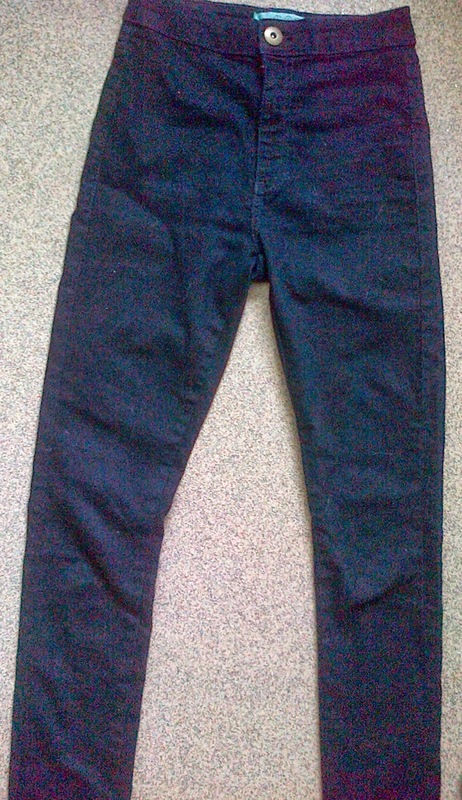 I've worn these jeans once since buying them and they're incredibly fitting and comfortable, overall a great buy. 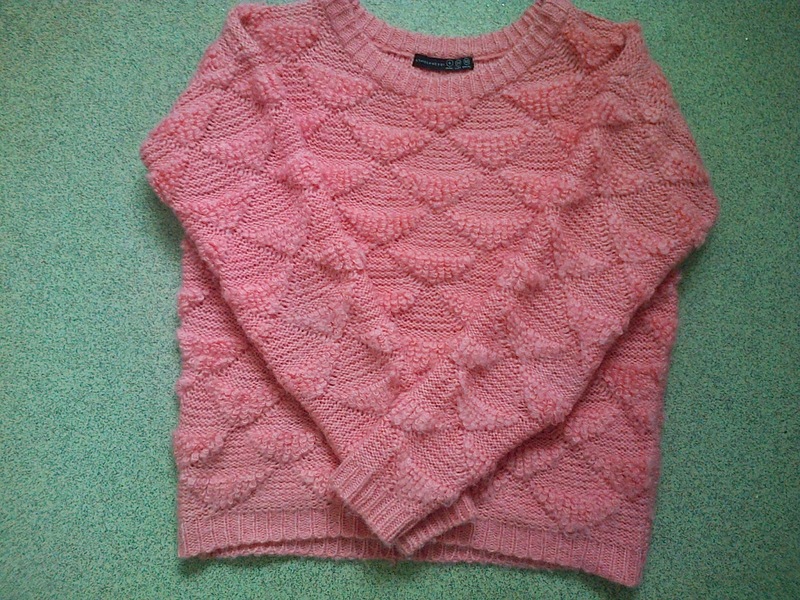 Since it is nearing the Winter time I really wanted a new wooly jumper so I went for this gorgeous coral jumper. I've also worn this once since buying and it's so soft and warm and I adore the color, it's fab! This jumper cost me between £10-£12 from Primark and it's one of my favorite pieces of clothing in this haul, I just love it. I know what you're all thinking, yes another pair of jeans but I'm not so impressed with these all that much but they were on sale for £7 down from £10 in Primark so I thought why not, that was my excuse anyway. I wasn't very impressed with these jeans as they were so tight on me.. my fault I guess as I never tried them on in store beforehand. I guess I'll have to try them on before I go running to the till with them in hand. Anyway, that's the end to my clothing haul, it may as well have been a jeans haul with the lack of other clothing items, my bad! 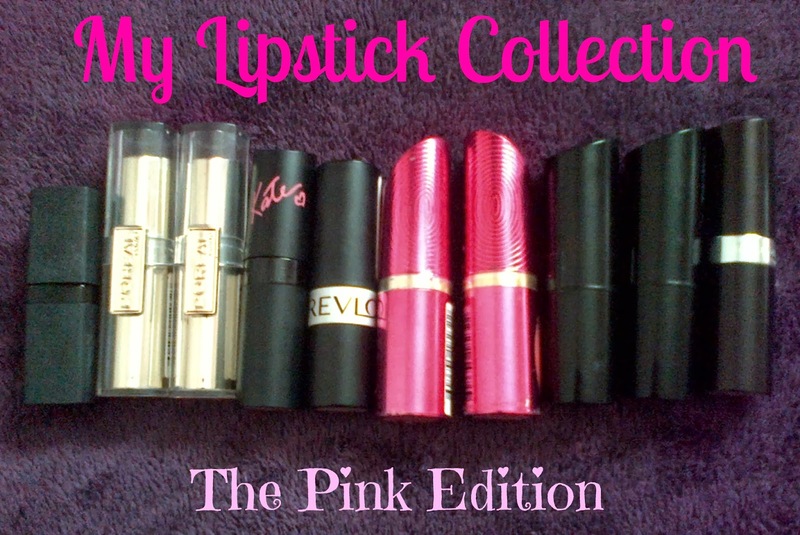 Two weeks ago I started my series post of My Lipstick Collection: The Pink Edition showing off my ever growing collection of Pink lipsticks and today I'm bringing you part 3! A few years ago I would have never dreamt of even wearing a lipstick let alone having a collection of them. I always thought that lipsticks were for older people but hell no, I am absolutely obsessed with them now. Ever since I was a young girl my favourite color has always been pink and it's never changed, I think that's part of the reason why I have more pink lipsticks than any other shades although some shades of pink don't really suit my skin tone. 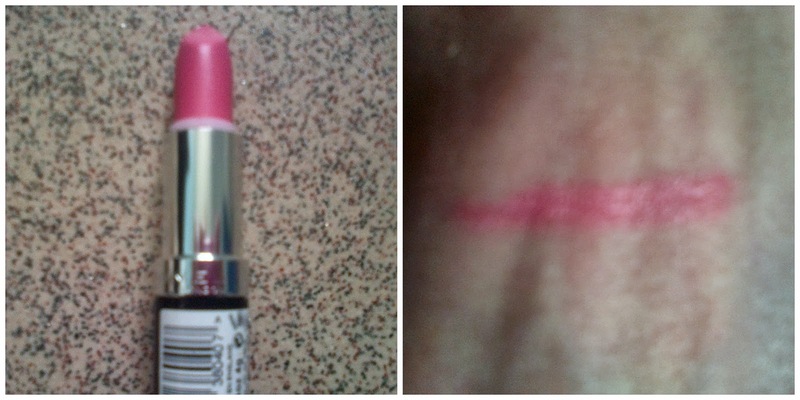 Anyway today the lipstick I will be sharing with you is the Barry M Lip paint in the shade '100'. I don't think it's got a name to it but it's a lovely baby pink shade. I came across this lip paint over a year ago when I went shopping with a friend. It's a light pink/baby pink shade and my reasons for buying this was that I wanted to find a new pink lipstick that could replace my everyday lipstick but unfortunately this didn't impress me. It is way too drying, once I applied this on my lips I noticed that it was flaking off and I didn't have dry lips at the time so I knew that it wasn't doing that for those reasons. The pigmentation is brilliant but the finish just completely ruined it for me. This lip paint is the older version but Barry M has now bought out new lip paints with ultra moisturising lip paints that contain Cocoa butter. I am yet to try them out, I'm so curious as they've changed the formulation. 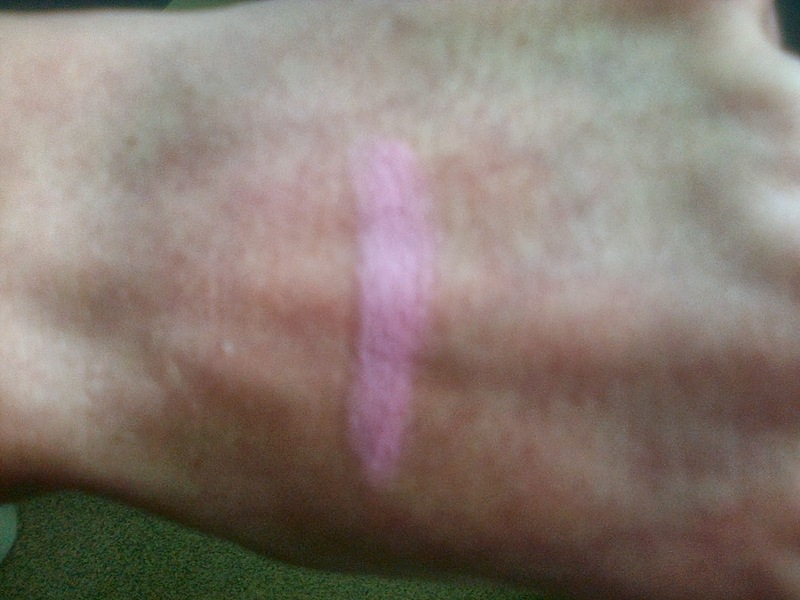 As you can see from the swatch above it's a really pale shade of pink and I love the pigmentation, It's just a shame that it wasn't moisturizing as I would have liked. 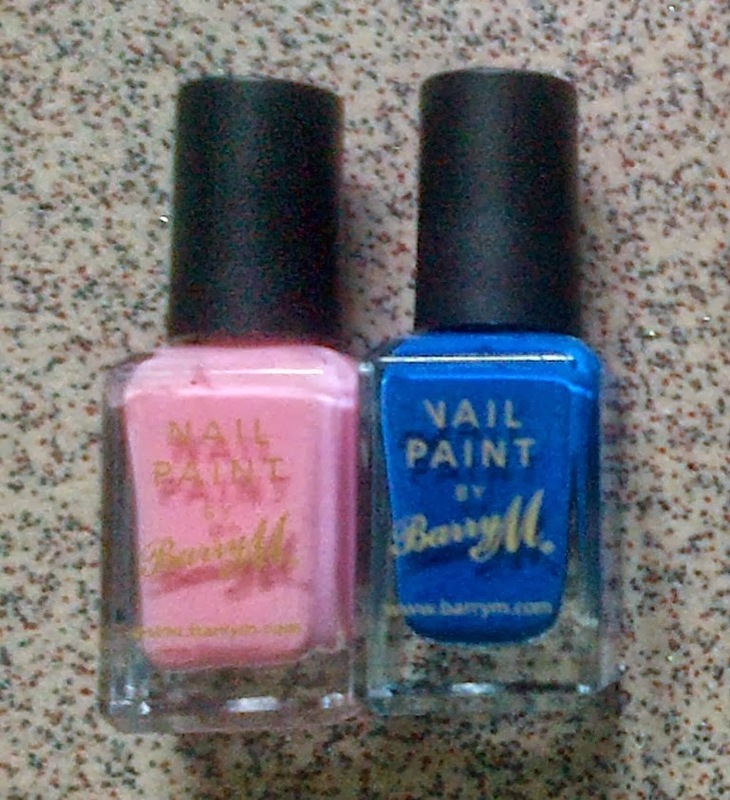 Have you tried the Barry M Lip Paints? 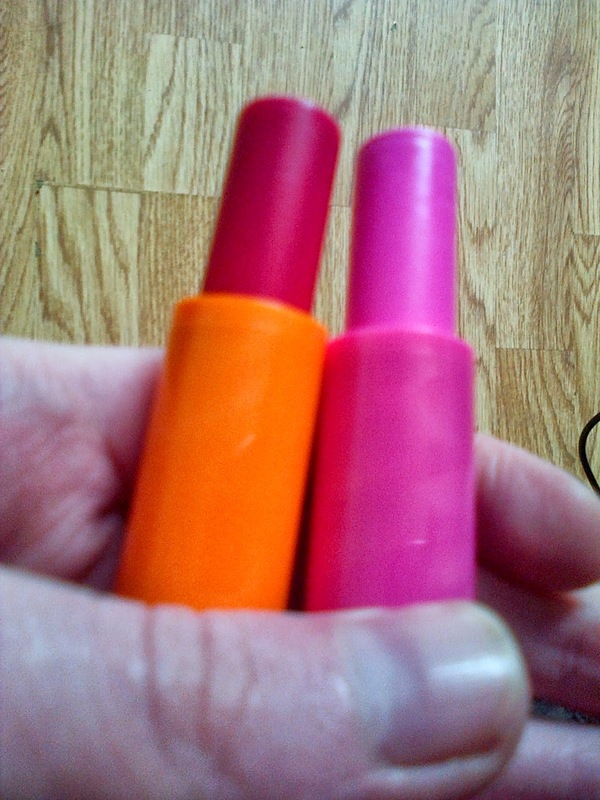 Over a week ago I had a big Superdrug haul which included the very hyped up Baby lips by Maybelline. I know I'm really late on the bandwagon but I had been wanting to get my hands on these lip balms for so long! They've been raved about so many times in the blogging community that I just couldn't resist picking them up when I seen them on a buy 1 get 1 half price deal. There are overall 6 different shades/formations of babylips and I really struggled to choose just 2 but in the end I decided to go for 'Pink Punch' and Cherry Me. If I'm honest Pink Punch did not impress me as much as Cherry Me did, it does moisturize your lips almost immediately but it doesn't have much of a tint to it on the first application, in fact I think you need to apply it a few times for it to show a bit more color on your lips. Pink Punch smells so lovely, I can't quite figure out what it smells like, almost a bit like bubblegum. 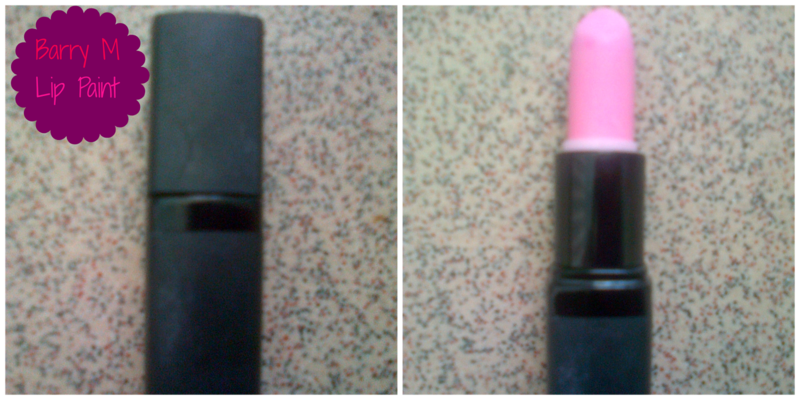 Overall, I wasn't very impressed with the pigmentation but you should never expect too much as it's a lip balm. Oh my, when I first opened Cherry Me I was so amazed by how gorgeous it smelt, oh my god, it has a slightly stronger smell compared to Pink Punch. The pigmentation is so much better than Pink Punch, it gives you a subtle dark red tint to your lips and it's incredibly moisturizing too. You don't need to apply it more than once like Pink Punch. On the first application it glides on so well and gives you a sudden tint to the lips. I was so impressed with this, I take it everywhere with me, I can just pop it in my handbag and use it when I want to top up. Sorry about the quality of the swatches above, I had terrible lighting and a really rubbish camera which is such a bad combination. 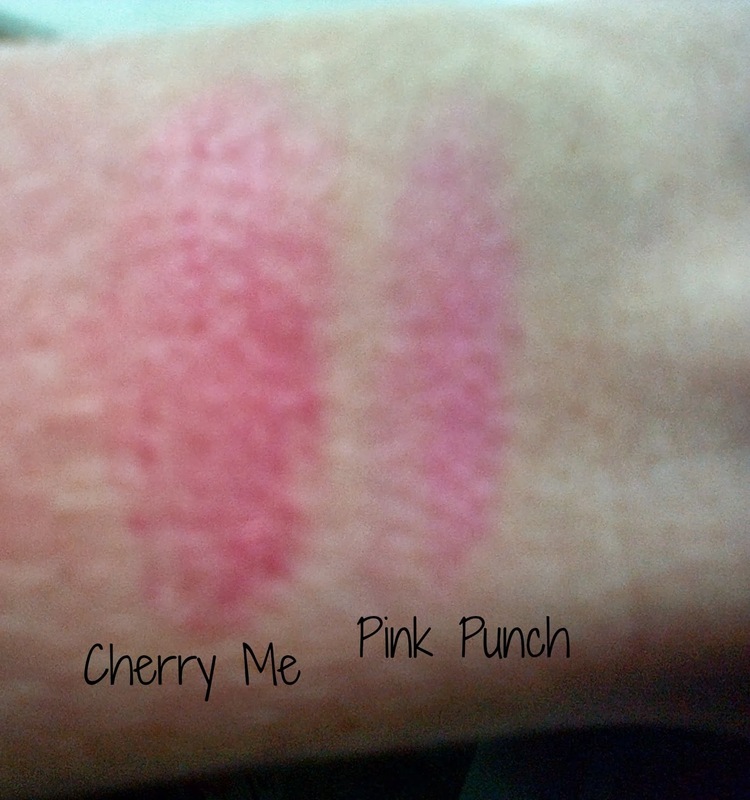 As you can see 'Cherry Me' has a darker tint compared to 'Pink Punch'. It's not too dark or pigmented, it's just perfect for me. I needed to apply Pink Punch a few times before it showed the real color but as you can see Pink Punch is a slightly light pink/baby pink color which I absolutely love. With these lip balms you should never expect too much, it won't have the same pigmentation as other brands or other lip balms but they're perfect if you want a lip balm that prevents dry lips but also gives them a tint of color. 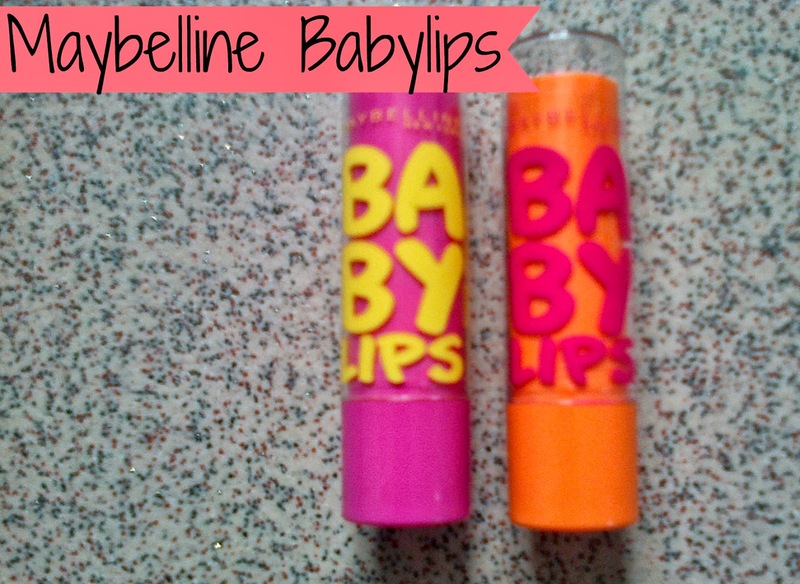 Have you tried the Maybelline Babylips? The last 2 days I haven't been putting up any blog posts due to being a little bit busy but I'm back now and I have a new post for you lovelies. Lately the weather has been all over the place, one minute it's cold and dry and the next the sun decides to make a last minute appearance before it begins to pour down with rain. 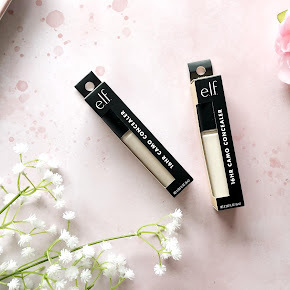 Through the Autumn/Winter many of you may struggle with keeping your lips moisturised due to weather changes so I decided to share with you one of my much loved lip care essentials. If you're like me then during these seasons your lips can appear quite chapped and dehydrated. Dry lips are never a good look and definitely doesn't feel good either! My savior for keeping my lips in good condition during A/W is the one and only Classic Carmex Moisturising Lip Balm. It works absolute wonders! After a couple of days of application it makes your lips feel incredibly smooth and moisturised. They are no longer chapped or dry. 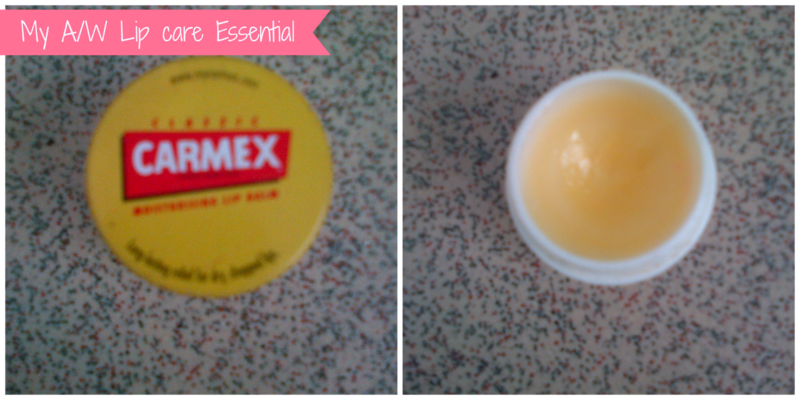 The Carmex Moisturising Lip balm comes in a small 7.5g pot and it has quite a strong 'minty' smell to it. It doesn't feel greasy on the lips and once you've applied it on you can sense a slight tingly feeling. The packaging is slightly different compared to the picture above, I've had the lip balm for nearly a year so it lasts for absolutely ages. You can get this balm in different flavours such as cherry or mint and they also come in tubes as well as pots. It's quite cheap too! As far as I'm aware Carmex have a 2 for £4 deal on the Superdrug website, surely that's worth checking out? Their Lip balms are definitely worth trying out if you suffer from dry, chapped lips. What are your lip care essentials for the Autumn/Winter? Hello beauties, I hope you're all doing okay, it's Wednesday and we're halfway through the week already, where does the time go? 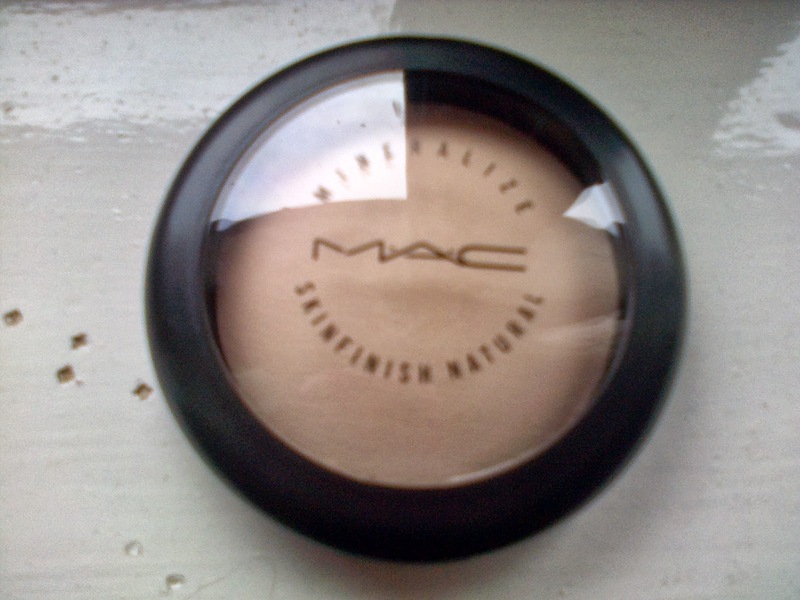 Anyway a little over a week ago I put up a Mini MAC Haul Post and one of the items included in the haul was the MAC Mineralize Skinfinish Natural, I bought this in the shade 'Light'. You can have a look at my Mini MAC Haul post here if you want to take a cheeky peek. I bought this due to seeing so many wonderful positive reviews about the product amongst the blogging and youtube community. I decided to bite the bullet last week while browsing through the MAC website and bought it in one of it's lightest shades. MAC says this powder is 'A luxurious domed face powder with minerals, slowly baked to provide a dimensional yet natural/matte coverage. Use to set and fix foundation or as a touch up throughout the day'. I absolutely agree with what MAC says about this product, it gives you a natural matte finish and it feels quite lightweight on the skin, almost like you don't have any powder on. You should never be too heavy handed with the powder as it can make your face look extremely cakey. How do I know this? I stupidly made the mistake of building it up, something which I will not be doing again. I ended up going on a shopping trip, looked in a mirror and I had a ghostly/patchy figure staring back at me. 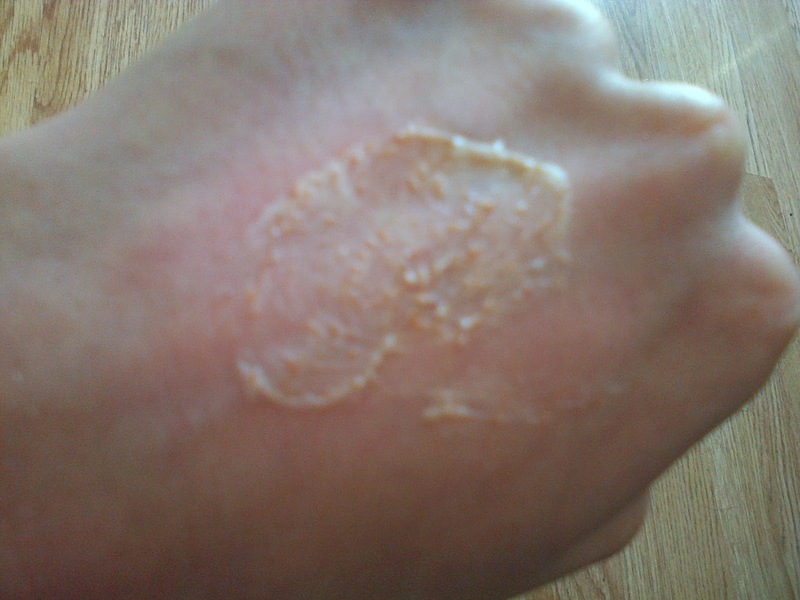 It looked so terrible! Never again! Anyway in the last few years that I've been using makeup I've never fully stuck to just one powder as I love trying new ones out to see which ones work better with my skin and give me that much wanted 'flawless finish'. I've never found a powder that made me look in the mirror and think 'wow, my face looks amazing'. I've used this powder a few times since buying it and I have to say I quite like it! It doesn't have a yellow undertone to it unlike most powders I have tried in the past, it actually goes so well with my skin tone. It also eliminates shine all day and keeps oiliness at bay. The powder gives you a light to medium coverage and makes your skin look natural all the while. When you apply a little of this to your face it gives a lovely almost flawless finish and it stays put throughout most of the day and you only need to top it up at least once. The MAC Mineralize Skinfinish Natural Powder is definitely worth trying out if you're looking for a powder to keep your makeup put all day and want a natural finish. Despite the negatives about my patchy face, which was due to myself, it's a really good powder when you're light handed with it and it wears pretty much all day with at least one top up, what more can you ask from a powder? 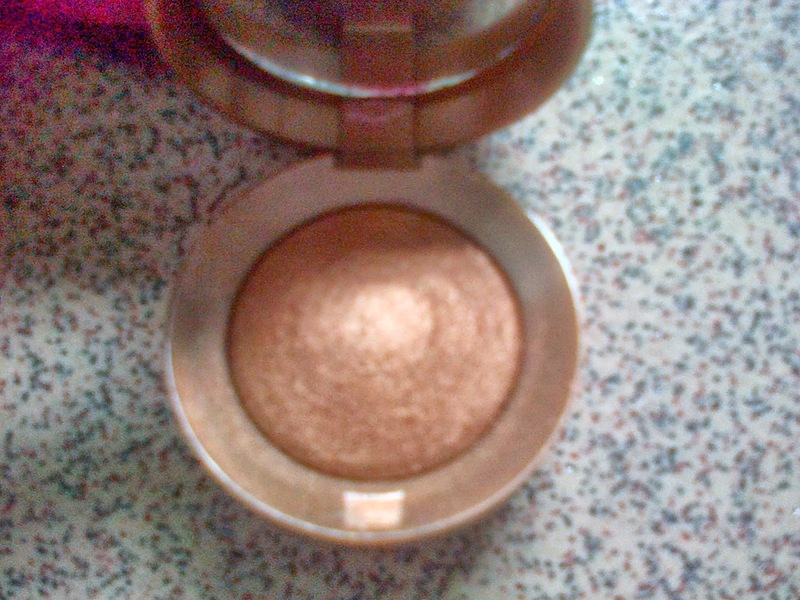 Have you tried MAC's Mineralize Skinfinish Natural? Recently I've been reading some really good blogs and I've came across the Skincare Tag. No one has tagged me for this post but I thought it would be a fun one to do as I'm really into my Skincare and I'm sure many of you are too. 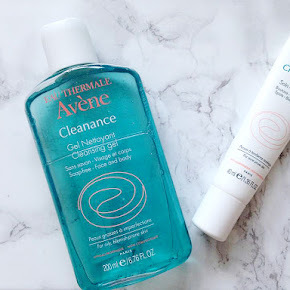 Since I was younger I have always loved reading blogs or magazines to find out what other girls are using for their skincare routine or finding out what the next big skincare product is. Obviously since I was younger blogging has gotten a lot bigger and it's easier to find new products than ever before. I have gone through so many skincare products and I can't seem to stick to a skincare routine until now (for the time being anyway). Describe your Skincare Routine in 5 words? I have oily skin that's incredibly prone to breakouts and I struggle greatly to keeping my skin in order. At the moment my favourite Skincare product has to be the Bodyshop Tea Tree foaming Cleanser. It makes your face feel so refreshed and leaves me with a tingly feeling which I quite like. I have gone through so many acne/blemish products in the last few years that it's quite unbelievable, they either work for me or they don't. At the moment my top blemish zapper is the Body shop tea tree oil, it's 100% natural and it reduces the spot and the inflammation overnight. Face Wipes? Yes or No? A few years ago before I was introduced to cleansing I always used face wipes and I found that after using them they never fully took all my makeup off. I would never start using face wipes again, cleansers are definitely the way forward for me. A while ago I never used a toner because I didn't see what they'd do for my skin but since buying the Bodyshop's Tea Tree Toner I've been using it everyday since and I can see the difference in my skin already. High End Skincare of High end Makeup? 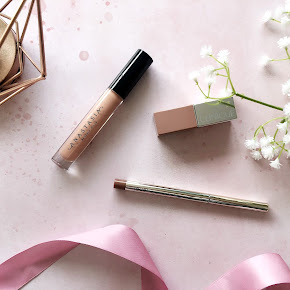 I don't feel the need to spend so much money on Skincare as the high street brands work better for my skin and I absolutely adore High end makeup brands like MAC and Benefit. I don't know if this is what you'd call unusual, well I don't think it is but when I had a dry face I always smeared a load of Vaseline on my face before bed.. it really works! You're in a french Pharmacy & you can only pick 1 item, what would you choose? It would have to be Bioderma Sensibo Micellar Solution, it's been raved about by so many beauty bloggers and I'd love to try it out to see what the hypes all about. -Never pick your blemishes! you'll only create an acne scar. This something I know all too well. -You may not want to wear a foundation with SPF in on a night out if you're taking pictures, it'll only make you look like a ghost in them.